The RMS TITANIC fatally struck an iceberg on April 14, 1912, tragically cutting short her maiden voyage. 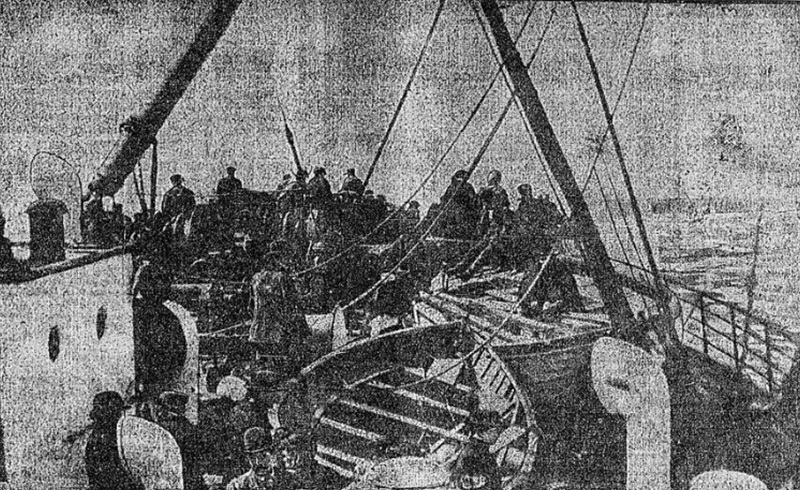 Survivors were rescued and brought to New York by the SS CAPATHIA. Also on board were 12 or 13 of the Titanic’s lifeboats. Titanic's wooden boats were manufactured by Harland and Wolff, the same firm that built the ship. 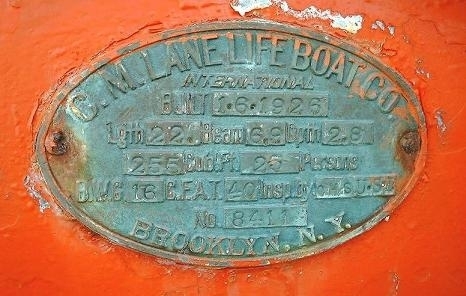 In New York, the lifeboats were inspected by Red Hook’s C.M Lane Lifeboat Company located at 150 Sullivan Street. (Some sources say 148 Sullivan). The total value of the boats and their equipment was assessed at $5,446.31. What happened to the lifeboats after that is uncertain. Some say that the Titanic lifeboats stayed at the Lane Lifeboat because no one would buy them. Others speculate that they were used by the Titanic’s sister ship OLYMPIC. 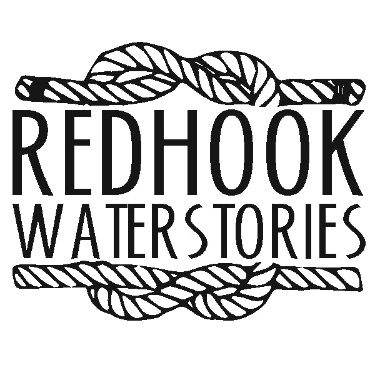 One waterstory is that one of them ended up decorating a Brooklyn Bar in the 1930s. The lifeboats of the TITANIC and the early lifeboats that Lane made were built from wood; but later, in 1958, the Lane Lifeboat Company pioneered fiberglass contruction of all lifeboats. A related waterstory, once removed: instrument maker Ned Steinberger got his start understanding composite materials and making prototypes of his guitars at Lane Lifeboat’s Sullivan Street shop before moving to 63 Tiffany Place.